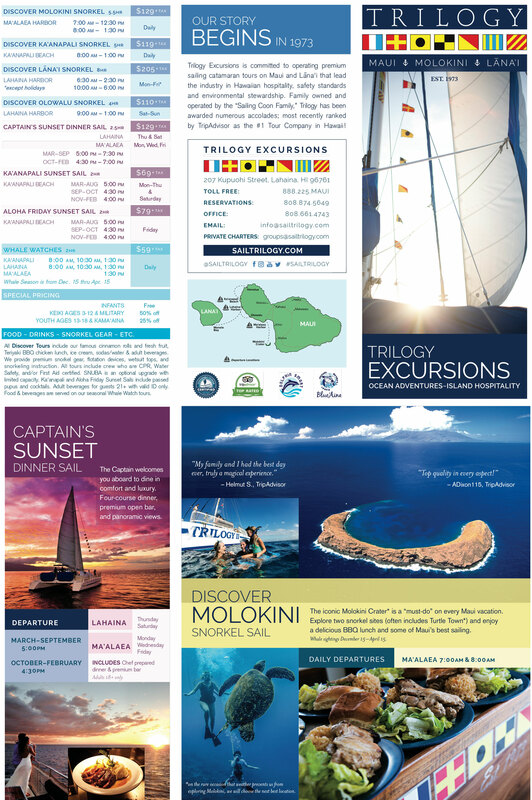 Trilogy Excursions’ marketing material was not reflective of the true value of their luxury sailing adventures. We created (12″ x 18″). It still folds down to a regular tri-fold brochure and can sit easily in a rack card display stand. The layout is unconventional in its structure, but still organized and easy to understand. 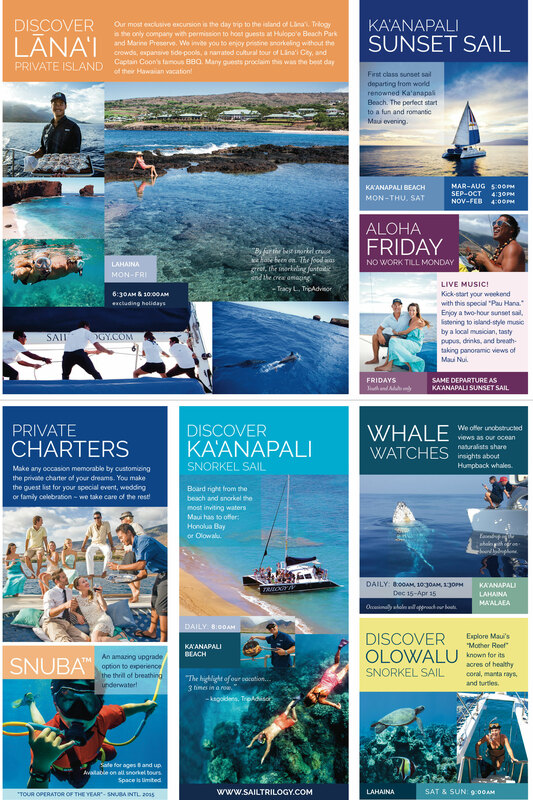 Our goal was to design a piece that the tourist will look at–not just once.